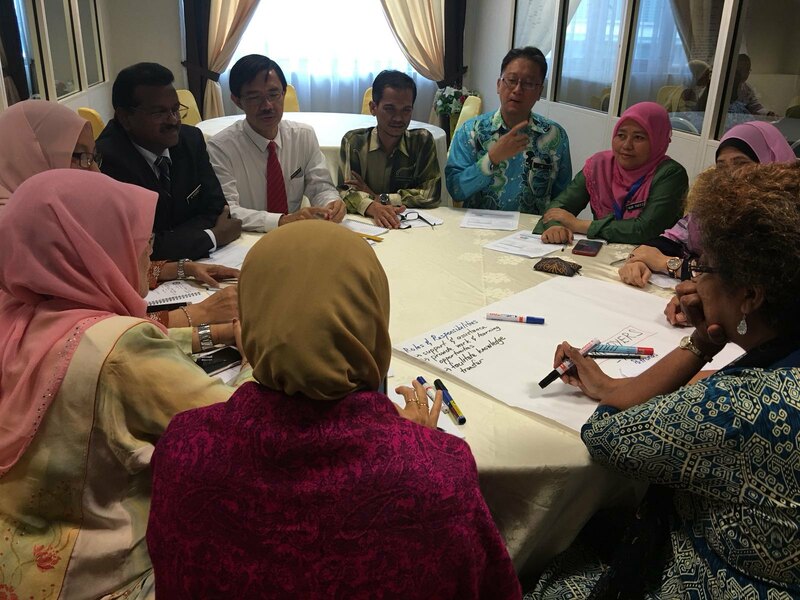 Upon the request of MOE Malaysia, IBE-UNESCO delivers a 10-Day Training Course in Curriculum and Learning in Malaysia. Mr. Renato Opertti, a Senior Programme Specialist, and Dr. Carmel Gallagher, a Senior Consultant, will facilitate the first session this week, 13-17 August. 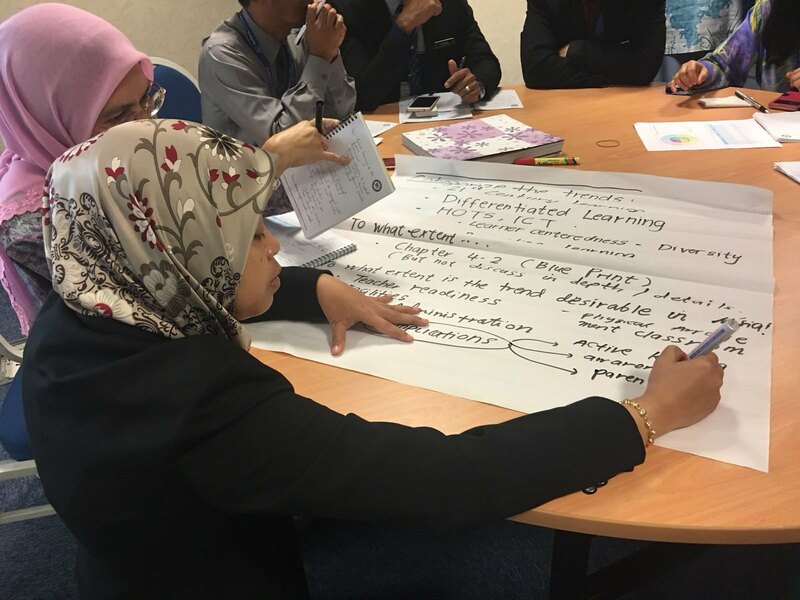 Since 2009, Ministry of Education Malaysia (MOE) has been going through a systematic curriculum reform process for Basic Education, from developing, implementing and revising the new standard-based curriculum as well as elaborating textbooks and training teacher trainers and teachers. 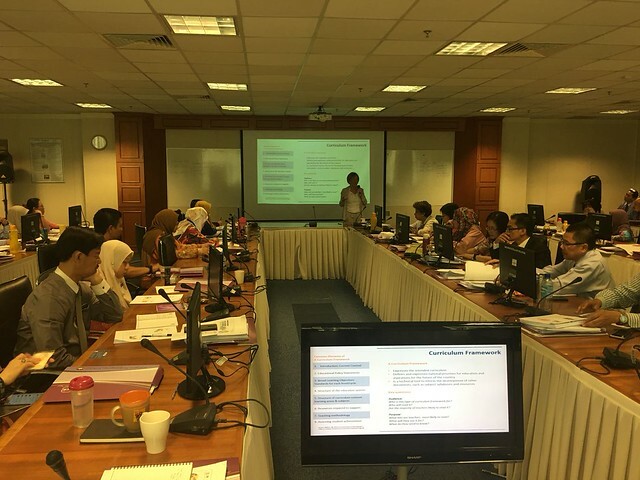 At the same time, Curriculum Development Division (CDD) of MOE strives for the strengthening of its capacities by training its team with concrete and up-to-date professional development programmes. Taking into account IBE-UNESCO’s expertise in Curriculum, Learning and its related areas, CDD invited IBE-UNESCO to facilitate a comprehensive and customized training course in curriculum and learning. 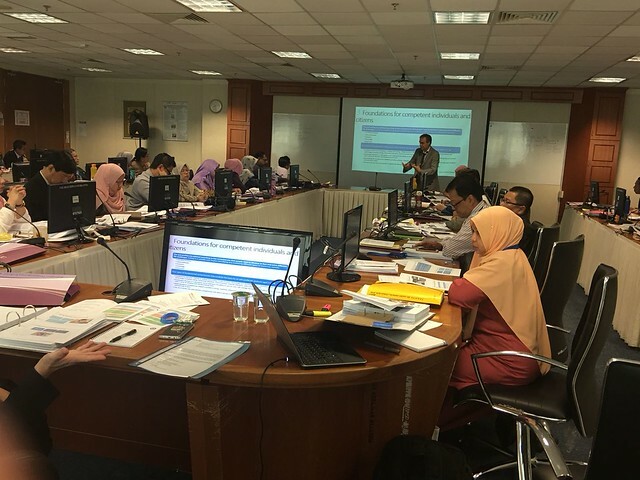 As part of IBE-UNESCO’s training proposal on curriculum and learning towards Education 2030, this training course, divided into two 5-day sessions, is designed to provide better understanding of the curriculum development process in light of international comparative perspectives and trends. Taking an interactive and participatory approach, the participants will have an opportunity to learn more about current trends in education, both regional and international, through a variety of presentations and case studies of different regions and countries, and further reflect them on their settings through discussions and plenary sessions. Using IBE-UNESCO’s 2017 Edition Resource Pack for Curriculum Design and Development as a main training tool, the first session of the training course is structured around 4 key areas at large, which are: i) Towards Education 2030 agenda and inclusive education; ii) Curriculum change in the fast changing world; iii) Curriculum design and current debates around competencies; and iv) Curriculum consultation and localization: glo-localization across different thematic and contexts.